If I could only use one social media platform, my choice would be clear, Instagram. The constant stream of photos and simple ‘double tap’ to like a photo or video create for a visually engaging yet simple media interface. Currently Instagram has the reputation of being dominated by the younger generation, 53% of 18-29 year olds use Instagram (Pew Research Center). This statistic is personally relevant due to my mom’s constant struggle to try and zoom in on the photos posted on Instagram, “No mom, you can’t zoom on Instagram.” But the lack of Instagram knowledge and fear of the younger demographic should not deter brands. When posting on other social media sites visuals are encouraged to gain greater reach and engagement; Instagram is all visuals! This platform allows for followers to actually see your brand in an organic way. It can be used as an advertisement or a platform to create a stronger level of “relatability”. 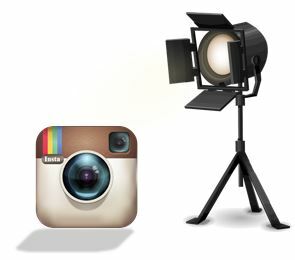 The most popular and effective Instagram posts are unique and highlight your brand in a different way showing your followers that you have something distinctive to offer. Instagram, like other social media platforms, is constantly changing. Recently programs have been designed to send an email detailing the products shown in the ‘liked’ post if the photo/video is captioned with the designated hashtag (ex. #liketoknowit, #instakors). Instagram is also trying to gain the attention of advertisers through their “Clickable Carousel”. This new addition allows for advertisers to have a scroll through feed of photos under one post with a ‘Learn More’ tab on the concluding photo. One main benefit of the carousel with the connecting link is that the normal Instagram posts do not allow for external links to be accessed directly from the photos, users would have to access the link through the profile page. While Instagram currently may appeal more to a younger generation, don’t shy away from this powerful platform. Instagram has the strength to compete as an influential contender in digital marketing strategies.